Eclipse will help you uncover the life-changing experience your Uruguay Tours are certain to leave you with. Uruguay, in many ways, is Latin America’s best-kept secret. Enjoying a rich international reputation for sport, many of its wining and dining and cultural hotspots don’t often get the airtime they deserve. Increasingly popular for its amazing beaches, this stunning and football-mad country is the hidden Latin American jewel you’ve been waiting to uncover. Your Uruguay Travel package awaits where you will experience delicious food and wine, stunning charm and culture – these are just some of the ways you’ll be using to describe your trip to Uruguay. Easily accessible from Buenos Aires, a trip to Uruguay is not only worthwhile but highly recommended. Starting at Colonia del Sacremento you’ll fall in love with the people and architecture of this antique and charming village. Life here moves at a very slow pace so you can enjoy strolling the streets at leisure, stopping for a coffee and afternoon tea, and all the while imagining you have gone way back in time. 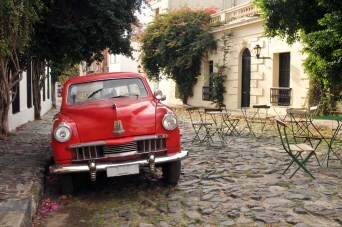 Montevideo, the capital city, has some great attractions and restaurants. Spend a day learning about Uruguay’s history and culture while on a city tour, and then end the day with an unforgettable feast which will include some of the famous local wine and delicious meat feasts the region is so well known for. For a change of pace, Uruguay is also home to the beach resort of Punta del Este, where even the locals go for their summer holidays for some quality beach time and party atmosphere. Choose your next South America exploration with Eclipse and begin your Latin adventure in Uruguay.